There's a new bar on the block - the VE Raw Bar! Introducing freeze-dried single ingredient chews coming in a variety of proteins! Keep your dog's brain working, and teeth clean without the harmful chemicals used to preserve raw hides. 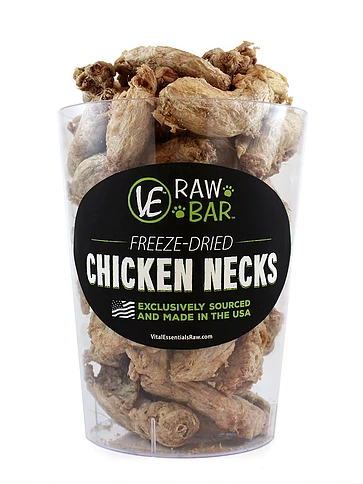 These freeze-dried chews come packed with essential vitamins and proteins and the 48 hour freeze drying process keeps them tasting delicious!